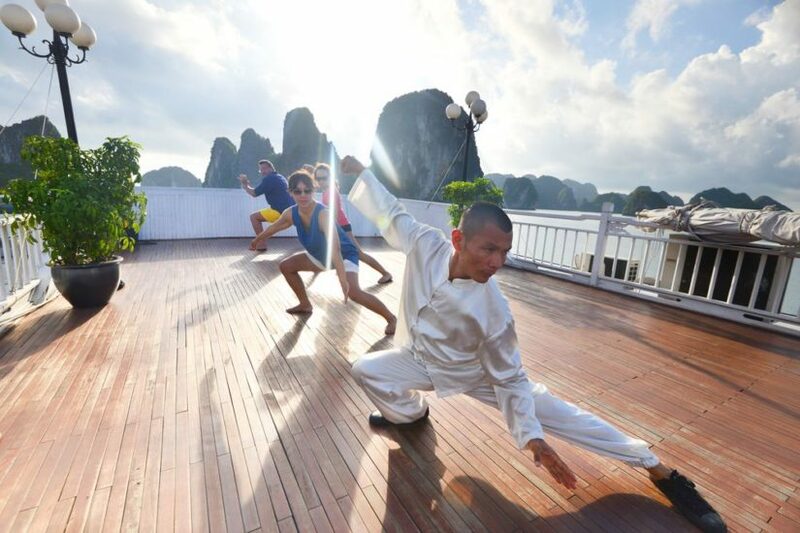 Known as a bright germ of traditional Chinese culture, Tai Chi is now available on cruises, where you can stay fit and take the magical view of Halong Bay sunrise at the same time. Leave all stress and tiredness behind through the gentle flowing movements of Tai Chi. 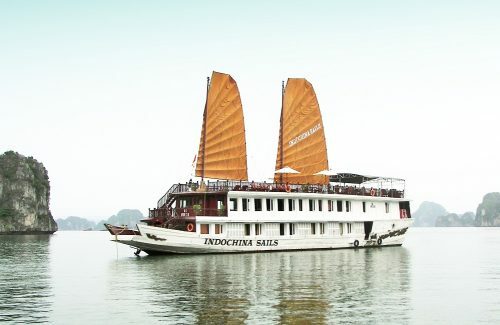 It emphasizes a total relaxation of both mind and body in a quiet and tranquil atmosphere on Halong Bay cruise – an outstanding experience ever to explore it by yourself! Ready? Let’s make today your special day! You can find the right ways to move the body and keep in shape by practicing Tai Chi on a cruise. Exercise could settle your mind and give you a chance to enjoy the whole journey no matter what issues you’re encountering on the water. 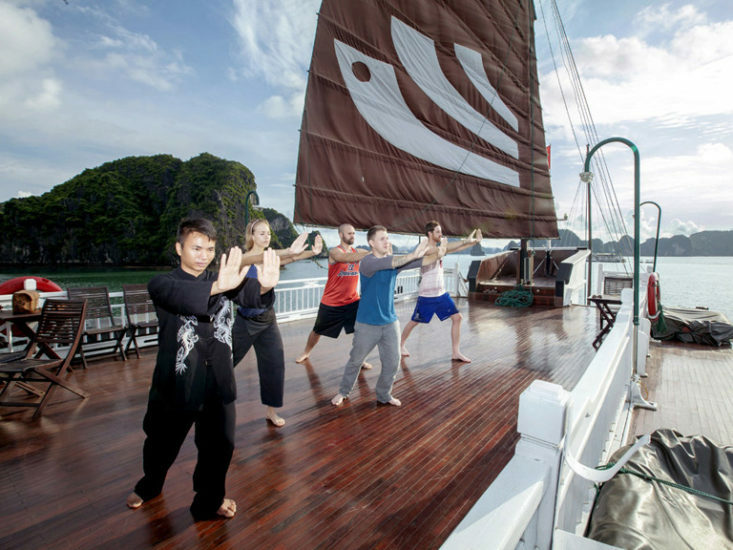 If you’re a physically active person, there’s no way to miss Tai Chi exercises in morning Halong Cruise – a fantastic way to release fatigue and enjoy soothing traditional Vietnamese music. The list of benefits brought by Tai Chi is quite long since it can improve your strength, balance, coordination, and flexibility. Regardless of what kind of cruise you are on, there’s always a way to twist and stretch all of your body parts, so don’t worry but freely enjoy space during your boat voyage. Just wake up yourself and experience this moment on one of Halong Bay tour’s highlights here, you’ll soon find the inner peace harmonizing with nature. The highly experienced Tai Chi master will be more than willing to lead you to avail the conscious mind to direct the motion and then let it lead the whole body. Such a thing is said to grow your own deep concentration and take your body into a more balanced and meditative state. Don’t miss it, especially in the early morning on Halong Bay VSpirit Junk cruise, when is totally the greatest time to watch the sunrise warming you up and taking your mind away from stress. 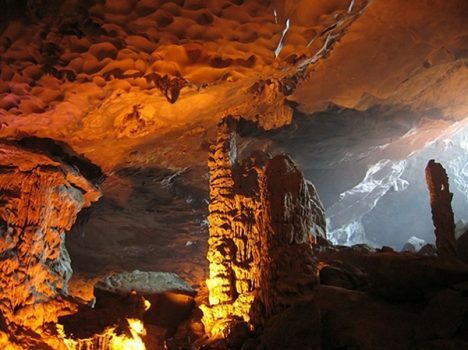 There are so many things to do in Halong Bay Cruise, from sliding through myriads of islands and islets, visiting incredible grottoes, joining a local cooking class to gaining a lifetime dining experience on the boat. 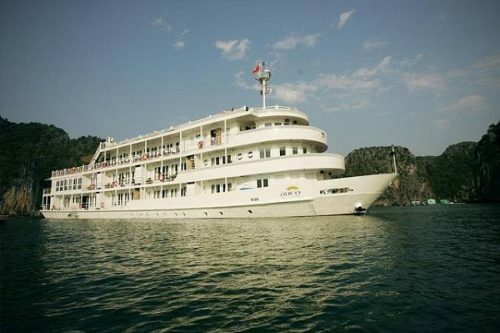 You can choose Starlight Cruise, V-Spirite Cruise, Halong Ginger Cruise, Gray Line Halong Cruise, Signature Royal Cruise… which all creates an unforgettable moment when you’ve got to face the classic beauty mixed up with modern comfort. Each of them is newly built and featured with 3 decks housing a modern lounge, restaurant, bar, boutique shop and graceful sleeping cabins. Joining Tai Chi Class, you get to have lot of fun on its most relaxing lounge chairs where you can enjoy the freshest and most dazzling views. If not, you can go to the bar, which is an indeed delightful place to socialize and contemplate the sun sinking behind the bay’s islands.